Conditions of autoimmunity, such as lupus, rheumatoid arthritis, and MS, affect more than 250 million people worldwide. In the United States, they are the 3rd leading chronic disease behind cardiovascular disease and cancer. 1. Genetic Susceptibility: Some individuals are more genetically prone to developing autoimmunity. However, we know that genes alone will not cause autoimmunity (1, 2). The following 2 factors are just as important. 2. Leaky Gut Syndrome: Damage to the gut, causes large proteins to get into the blood stream and the body reacts with inflammation and autoimmunity in those who are susceptible (3, 4). 3. A Trigger: This could be a serious emotional or physical trauma of some type. Perhaps losing a family member, going through a challenging relationship or getting into a serious car accident. Any situation like this can overwhelm the body and cause it to adapt poorly and fail to modulate the immune system and trigger autoimmunity (5, 6). Keeping your gut healthy is absolutely vital to controlling auto-immunity and chronic inflammation. Here are 25 steps and principles to help reduce inflammation, improve digestive health and improve your body’s ability to heal and repair itself. Processed foods contain dangerous environmental chemicals that alter the microbiome and favor the development of bad bacteria and yeast species. These foods will cause of vicious cycle of inflammation that will damage your gut lining and promote autoimmune activity. If you want more info on foods you should avoid read this article where I discuss what a healing diet consists of. Only drink water that has been filtered – ideally through a high quality carbon filter or even better, through a reverse osmosis (RO) system. An RO system takes out all the chlorine, fluoride, disinfectant byproducts and more. One challenge with RO is that it also takes out key minerals. I recommend adding ¼ tsp of pink salt for every gallon of RO water to make up for minerals. Using several drops of a good essential oil like peppermint or lemon/lime will also add anti-oxidant components. The more you chew your food, the less stress you will place on your digestive system and the more nutrients you will extract. ‘Aim to chew each bite 30-40 times. This will be tough at first but the more aware you become of the art of chewing, the natural it will become. The image below will show you what to do to develop the art of mindful eating which has incredible benefits for reducing food sensitivities and improving digestive health. Small chain fats (SCFAs) such as butyric acid and medium chain fats (MCTs) like capric, caprylic and lauric acid are powerful support for the microflora. You will find butyric acid in grass-fed ghee and caprylic/lauric acid in coconut oil. I recommend cooking with coconut oil and melting grass-fed ghee on steamed or sautéed veggies. Some herbs such as oregano, thyme, garlic, peppermint and basil help to kill off bad microbes and favor the development of healthy microbes. Consume these generously in either a fresh, dried or essential oil form on a daily basis. You can also use supplemental antimicrobials such as berberine, bayberry and grapefruit seed extract. I have my clients use GI Regulator to reduce microbial counts. Go a minimum of 12 hours between meals overnight. Try to work your way to 16-18 hour daily fasts. Be sure to drink as much clean water and herbal teas as possible in order to flush your system and stave off hunger. I typically drink 64oz of water (or herbal tea) from the time I wake up until my first meal. This dramatically improves my energy and brain function and the water blocks any sense of hunger so I feel excellent. You can also try putting some MCT oil, coconut oil or grass-fed ghee to help produce ketones and improve your ability to fast. Read this very helpful article where I explain the best ways to get started with fasting. Be sure to increase your vitamin D through good amounts of regular sun exposure and/or taking a high quality vitamin D3 supplement. Vitamin D is one of the most important immune system modulators. This means that it helps to coordinate the immune system to help it identify self vs non-self tissue. This is a HUGE FACTOR in autoimmunity and research has shown that people with autoimmunity are typically vitamin D deficient. Stomach acid is critical for disinfecting and killing off bad microbes and for optimizing protein digestion in the body. When the body is unable to produce enough stomach acid, inadequate digestion and microbial overgrowth occurs. One of the most important and underappreciated health principles deals with optimizing our stomach acid levels. Be sure to read and follow the strategies in this article. Herbal teas contain powerful anti-oxidants that favor the development of a healthy microbiome. Be sure to get organic varieties and use MCT oil, grass-fed ghee and/or coconut oil in them in order to get more of the small and medium chain fats. Some of my favorites include ginger and turmeric tea, ginseng tea, peppermint tea and green tea or some combination of herbs that includes these. Here is our Keto Matcha green tea recipe! Sleeping a high quality 8-9 hours each night is key to stabilizing the immune system and enhancing whole body healing. 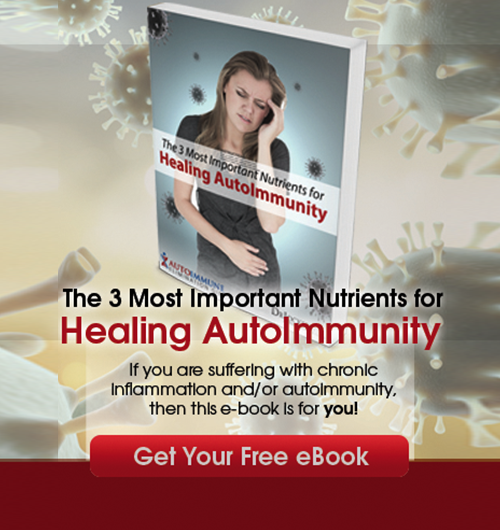 This is absolutely critical to improving any form of auto-immunity. Be sure to develop an evening wind-down strategy. Be in bed by 10pm, keep your room as dark as possible and wear a sleep mask to improve melatonin secretion for deep sleep. Keeping the room cool – under 70 degrees can also improve sleep quality and using an overhead fan for circulating air can make a big difference. Here is a helpful article, where I go over 7 key strategies for better sleep. Magnesium is important for blood sugar sensitivity, methylation and protecting the blood brain barrier. The best magnesium and B vitamin rich foods include dark green leafy veggies, pumpkin seeds, grass-fed dairy and raw cacao. 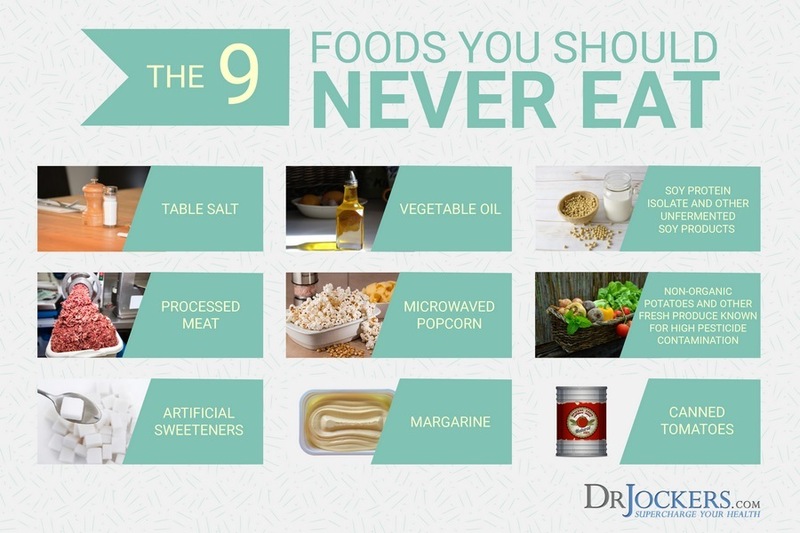 If you can tolerate these foods (don’t have food sensitivities to them or problems with oxalates or high histamines) consume them as staple parts of your diet. During the 30-day autoimmune elimination diet, we remove dairy and cacao, but you can still consume dark green leafy veggies and sprouted pumpkin seeds. You can also do Epsom salt baths to boost your magnesium levels. Taking a high quality probiotic on a daily basis is especially beneficial to improve your gut health. It is also a good idea to consume prebiotic foods such as radishes, artichoke, onions, garlic, leeks, cruciferous veggies, carrots, dandelion, pumpkin seeds and chia seeds and other veggies. I recommend Probiocharge as a general wellness probiotic and rotate it every 3 months with SBO Probiotics to create more diversity in the gut microbiome which is a positive measure of gut health. Research has shown that prebiotics have a great effect at reducing inflammation and improving bowel health. They are the fuel for a healthy microbiome. This includes dark green leafy veggies, asparagus, leeks, carrots, onions, garlic, radishes, artichokes and jicama. Include these in your daily diet. If you have an increase in gas and bloating consider reducing certain FODMAP groups. Read this article for more info. Using fermented foods such as sauerkraut, kimchi, beet kvass, coconut water kefir and coconut yogurt can add more live enzymes, acid metabolites and probiotic microbes to enhance digestion and improve energy levels. If you are new to fermented foods, start small with a tsp of coconut water kefir (that is usually tolerated the best). If you tolerate this well, move up to 2 tsp and go up gradually to about 6-8 tsps or a ¼ cup per day. Rotate the various fermented food sources to see which ones your body does the best with. Over time, you will be able to handle larger amounts of all different forms of fermented foods. You should be having 2-3 solid bowel movements daily in order to flush out all the food you consumed the day before. You want to eliminate food waste with a 12-24 hour period or the material becomes a breeding ground for bad microbes. This will trigger immune reactions and inflammation. Begin by drinking at least half your body weight in ounces of water daily and more if you are constipated. Often, drinking 16oz of water in between meals will stimulate your bowels and lead to a bowel movement. Using high doses of magnesium and vitamin C also work great. Try taking 500 mg – 1 gram of magnesium citrate or oxide. You can take vitamin C up until bowel tolerance. Begin with 5 grams and go up until it induces a stool (it may be diarrhea). This will clean you out and then you titer down until you find the right dosage that helps stimulate healthy bowels without a diarrhea reaction. Carminatives are herbs that stimulate the digestive system to work better. These herbs contain a high content of volatile oils that are effective at expelling gas and easing griping pains from the stomach and intestines. These herbs also tone the mucous surfaces & increase peristaltic action within the esophagus, stomach. This peristaltic action propels food and wastes through the system. The major carminative herbs include coriander, cinnamon, ginger, juniper, anise, fennel, cloves, caraway, dill, peppermint, thyme and licorice. These carminatives are often combined with aloe. Aloe is a cathartic herb that decreases intestinal transit time and is used to alleviate constipation. These herbs help to tone down the powerful gripping effect that aloe often promotes in the gut. This combination helps stimulate effective and comfortable stools for those with chronic constipation. Used for thousands of years to get your “movement” moving again, senna works by gently stimulating your intestines and aiding your body’s natural elimination process. If you are having trouble with constipation, this tea can really help. Smooth Move combines senna with the carminative herbs fennel, coriander and ginger to reduce the potential for unpleasant feelings like cramping. Smooth Move tea is best taken at bedtime to help improve bowel movements the following morning. We are surrounded by cell phone, radio and computer based electromagnetic frequency’s (EMF’s). These EMF’s increase stress within our body and promote inflammatory activity. Improving your posture, seeing a high quality chiropractor and optimizing your breathing patterns is highly recommended. Deep breathing helps to reduce the stress response, turn on our parasympathetic nervous system and enhance the digestive process and our bodies healing process. Begin a practice where you take 3 long deep breaths upon arising in the morning, before every meal and before going to bed. Oil pulling reduces the microbial load by binding to bacteria and bacterial waste products in the mouth. This takes stress off of the immune system and reduces inflammation levels throughout the body. Practice this 2 times daily for optimal results. Bile is an important digestive fluid that is produced by the liver and stored in a concentrated form within the gallbladder. Bile’s main digestive responsibility is to emulsify fats and create fatty acids that can be readily absorbed and used by the body. When the body has metabolic problems that lead to poor bile production and utilization it can cause serious health disturbances. Be sure to read and apply the strategies in this gallbladder guide. The anti-oxidant content and aromatherapy benefits of essential oilshelp to improve oxygenation and reduce the harmful effects of oxidative stress throughout the body. Some of my favorites for reducing autoimmunity include lavender, frankincense and peppermint among others. I recommend diffusing these in your house so you breathe in the anti-oxidant compounds. In addition, apply them to your body with the help of a carrier oil such as coconut oil. You don’t need much, 2 drops of each with a half a teaspoon of coconut oil. Rub that on your thyroid, sore joints and other regions to reduce inflammation and improve healing. The mitochondria are the energy powerhouses of every cell. When someone has an autoimmune disorder it is a clinical sign that they have dysfunctional activity going on in the mitochondria. Follow an elimination diet and use biofeedback testing in order to determine what foods are causing inflammation and dysfunction in your system and make it a goal to discover the foods you tolerate the best. Understanding what foods are causing inflammation and unwanted health issues is extremely important. 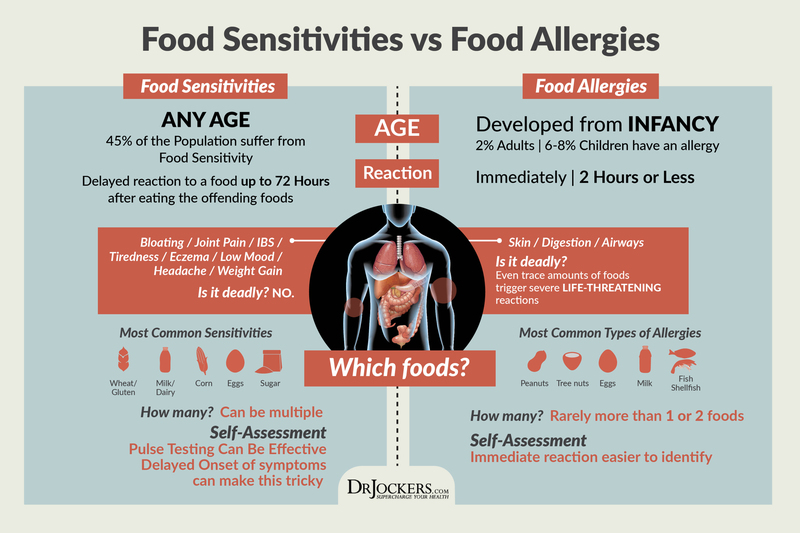 Here is a helpful article for how to discover these food sensitivities and how to reduce them over time. If you consume something that your body is sensitive to, then take 1-2 grams of activated charcoal or bentonite clay as these substances will bind with the inflammatory agents and help neutralize it. This can be LIFE SAVING if you have severe food intolerances and can be a great performance aid if you have mild sensitivities. 2. Cooper GS, Bynum MLK, Somers EC. Recent Insights in the Epidemiology of Autoimmune Diseases: Improved Prevalence Estimates and Understanding of Clustering of Diseases. Journal of autoimmunity. 2009;33(3-4):197-207. 4. Campbell AW. 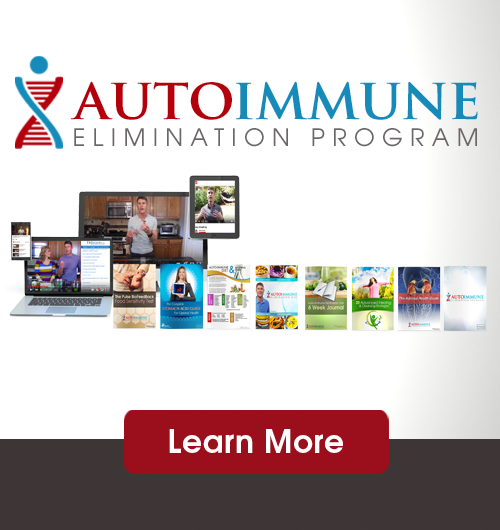 Autoimmunity and the Gut. Autoimmune Diseases. 2014;2014:152428. I have a 19 year old son, diagnosed with Ulcerative Colitis at 13. The first few years were a stressful rollercoaster. When I got fed-up with the lack of expertise from conventional GI MDs I started researching on my own. Gluten is one of his triggers, although he did not test for intolerance. He stopped eating it, symptoms went away. He started eating it again, symptoms returned. It happens every time. Not rocket science. Staying on top of his Vitamin D levels is critical to creating an attractive gut environment so the good bacteria sticks around. A ketogenic diet has worked wonders. It is a miracle lifestyle. He is a fit, healthy young man who now has a deep passion for health and wellness. For those of you reading this with any doubts, look at the research. There is a ton of it out there now. Thanks for sharing the article Dr. J. That is an awesome story Tara! Thanks for sharing!